This bride got henna tattoos on her arms and legs and those of all her bridesmaids, too. 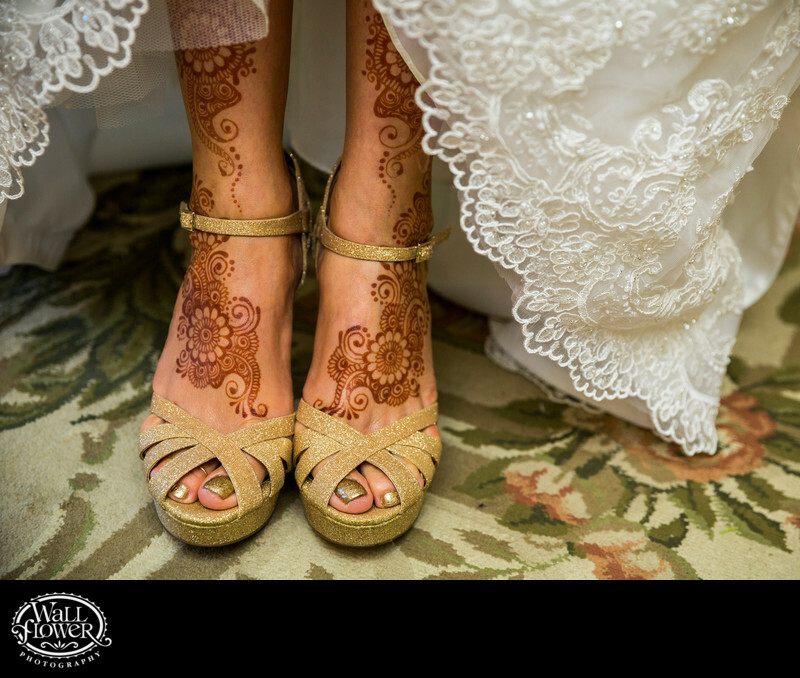 The detailed bottom hem of her wedding dress nicely frames her shoes and shins to show off all those intricate henna drawings. Her gold-painted toenails and gold strappy wedding shoes complement the henna tattoos nicely, and the Persian rug in the Grandview Suite of Thornewood Castle, where this bride got married, adds one last touch of detail.